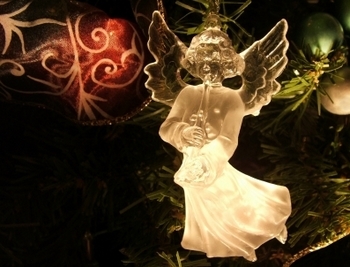 The term Angel of Light has often been used to refer to Lucifer, the fallen angel. The name Lucifer derives from Latin and it means light-bearer. In the Latin translation of the Bible, this is the name given to the Morning Star or Day Star. So how did this name was later used as the name of a fallen angel? Somehow a passage from the Bible was mixed with legends about the ancient myth of the fallen angels, who by the way, were associated with the Morning Star. The prophet Isaiah (in Isaiah 14:3-20) tells the story of how - with the help of God - the powerful king of Babylon (known as the Morning Star), has been brought down, like a star fallen from heaven. In the Latin version of the Bible, the Morning Star becomes Lucifer. From there, the name was given to the most famous of the fallen angels, who according to legend was a powerful archangel. The name would later be associated with the devil. However, there is no mention in the Bible that the name of the devil is Lucifer. I believe that all angels are angels of light. They embody, I believe, the perfection, the goodness, and the purity of the Divine. So in essence, they are beings of love and light. I also believe that God and goodness are the truth of the universe, and that the appearance of evil is merely transitory. 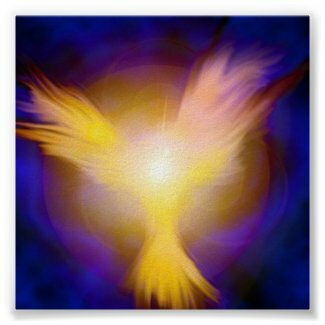 Here are some artistic representations of angels of light. These pictures are brought to you in affiliation with AllPosters.com. 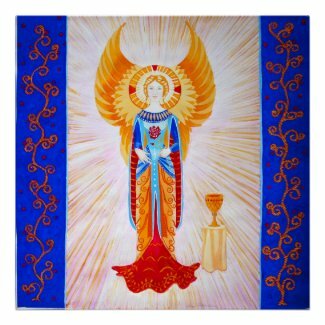 Below is an exquisite angelic depiction by artist Paula Majeski. The wings of this angel seem to be made out of gold. Or light. 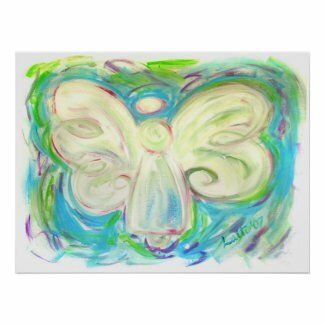 An angel-inspired gift can bring a touch of joy and inspiration to the recipient. You will find tons of gifts inspired by divine beings including posters, calendars and other decorative articles. The following items are brought to you in affiliation with Zazzle.com. And the angels of God illuminate my path. For I know God is with me. And I am always divinely guided and protected. Because the light of God illumines the path.